Leader of the party People’s Voice, Lim took to Facebook on Thursday, Feb 7 and said, “I am shocked and surprised to learn that Malaysia takes TOP spot in the world’s ranking for the best healthcare system”. Lim Tean also added that the main reason he thought Malaysia was ranked top was because of the cost of healthcare. He said, “It appears that healthcare is very affordable in our neighbouring country and services are TOP notch”. While Lim Tean criticized the current system, he made no indication of possible suggestions or changes he would like to make. 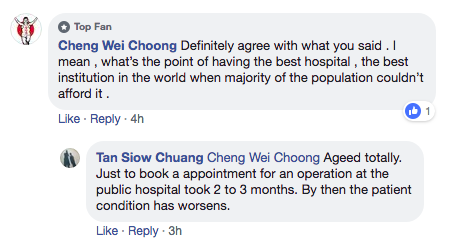 He only noted, “Like our broken CPF System, our Healthcare services need a total revamp which puts Citizens’ interests FIRST! Peoples Voice will be unveiling our plans to revamp our Nation’s healthcare system in due course”. Former presidential candidate Tan Kin Lian also expressed similar sentiments, except his point of view seemed to be sustained. He wrote, “we may not believe totally in the ranking in this article, but Malaysia must be doing something right, for them to receive this ranking”. 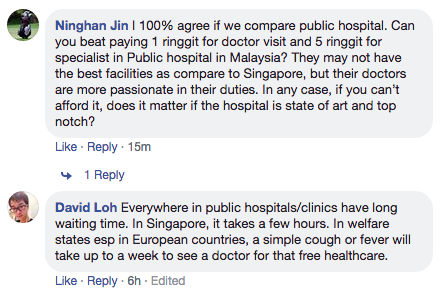 He continued, “Singapore may have a better health care system in the top quality of the hospital, medical specialists and the use of technology, but it is far too expensive”. While Mr Tan felt that Singapore did have a better healthcare system than Malaysia, he expressed that it was unaffordable for ordinary people. Singapore did not place in the top six of the 2019 International Living Annual Global Retirement Index. France ranked second, with Thailand coming in third. 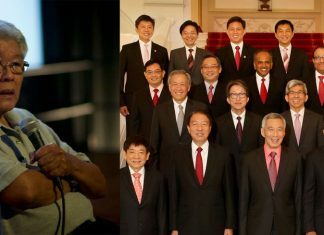 Many other Singaporeans agreed with both Lim Tean and Tan Kin Lian.